Pre-Gamin': Nationals v. Cubs (3:05 CT) – Lineups, Broadcast Info, etc. Pre-Gamin’: Nationals v. Cubs (3:05 CT) – Lineups, Broadcast Info, etc. The Cubs beat the ridiculous fog last night, as well as the Nationals, and they’ll try to do it again today under presumably more normal conditions. Jason Hammel goes for the Cubs today, and I feel obliged to say that it could be his last start with the team if they do wind up trading him on July 2, which is the first day the IFA period is open, which sometimes spurs trade activity (as it did last year with, for example, Scott Feldman). I don’t really like thinking in that way, because I just enjoy watching good players play well in the moment. So I hope Hammel pitches well solely because I hope Hammel pitches well. 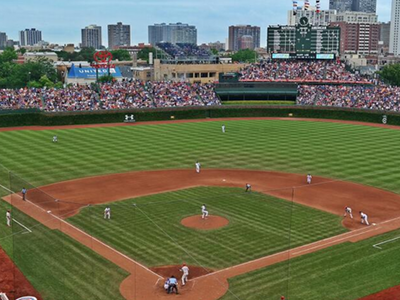 Washington Nationals (41-37) at Chicago Cubs (33-44), 3:05 CT on WGN. Game threads now live here in the comments – and with Disqus, they should be even more enjoyable. The Series Preview lives here.